Not all snakes slither on land--some slither in the seas. The banded sea snake can slither in both places. It hunts for food in warm, shallow water and comes ashore to rest and lay eggs. Also known as the sea krait, this striped snake usually stays away from people, but it has been known to deliver a deadly bite when caught in a fishing net. 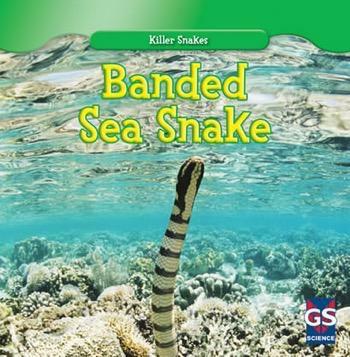 Colorful photographs help readers get the most out of this informative guide to banded sea snakes.